Nicholas is an applied economist specializing in economic growth, energy and natural resource and environmental economics. 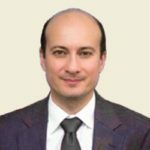 He is currently leading KAPSARC research on energy productivity and is a subject matter expert on energy efficiency, industrial strategy and energy pricing with KAPSARC Advisory. 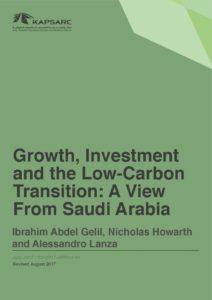 He has received several awards for his published work, including recognition for his first book on carbon markets by the American benchmarking journal Choice as a top 25 academic publication in the category of economics in 2010. Nicholas is an experienced policy advisory, thought leader and project manager with strengths in interdisciplinary issues and applied policy gained from working as a ministerial adviser in Australia and in a variety of international roles. He is also an experienced lecturer and public speaker on energy productivity, green growth and sustainable development and has presented work at a range of technical and policy fora including meetings of the International Association of Energy Economists and in support of the G20 Energy and Sustainability Working Group and United Nations Sustainable Development Goals processes. A common priority across G20 countries is the need to reinvigorate economies through an economic transformation that delivers a higher level of better quality growth. 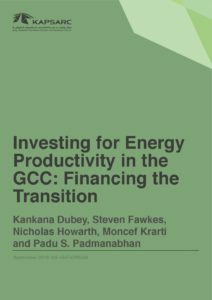 At KAPSARC, the need to improve economic growth and deliver climate goals agreed at COP21 in Paris is being investigated using an energy productivity framework, or how greater value can be obtained from the energy system for each unit of energy consumed. 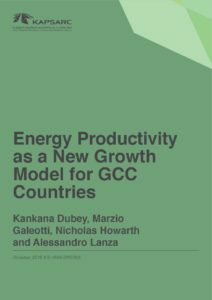 Following the collapse in oil prices, Gulf Cooperation Council (GCC) countries have intensified efforts to find a new growth model which increases the welfare of their citizens, while reducing exposure to volatile energy markets. 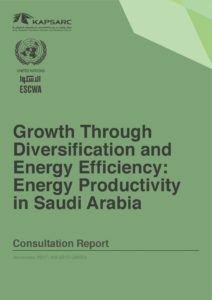 This paper argues that placing energy productivity at the heart of such a new growth paradigm offers a compelling path forward to strengthen economic diversification, energy efficiency and innovation efforts. Maximizing the economic welfare extracted from the energy system is a key priority for all governments. This can be measured by a country’s energy productivity. Perhaps nowhere else in the world is this issue more salient than in China. China is the world’s largest energy consumer and has led global economic growth in the first part of the twenty-first century. Furthermore, in the interconnected world we live in, decisions in China have global impacts. In periods of some of its fastest growth (from 2002-2005) China experienced declining energy productivity. In 2006, China put in place ambitious energy intensity targets. Combined with policies at the sector and product level, these contributed to China reversing its falling energy productivity. Building on this success, China’s 12th Five Year Plan, extended and deepened these reforms. But within China’s system of provincial and industrial energy intensity targets there is a blind spot which could reduce the potential welfare gain from these plans. 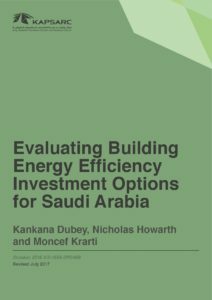 Assessing the embodied energy in interprovincial trade reveals these potential gains and provides the information required to encourage regional practices to align better with national objectives. 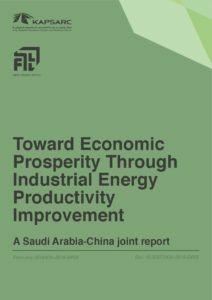 The response from Chinese policymakers to the challenges of building new infrastructure while managing resource and environmental constraints provides a valuable lesson for governments in rapidly developing countries, such as Saudi Arabia. 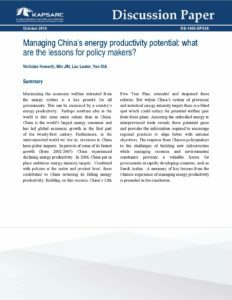 A summary of key lessons from the Chinese experience of managing energy productivity is presented in the conclusion. 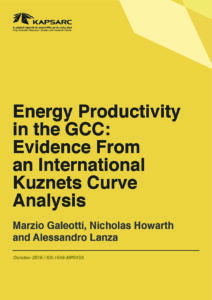 This paper explores energy productivity trends at a national level for the countries of the Gulf Cooperation Council (GCC) and puts them in an international context. 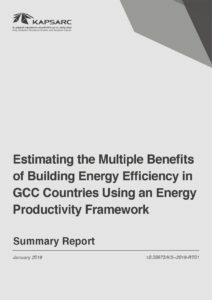 This analysis can be used as part of an evidence base for setting nationally appropriate energy productivity targets.